Special Date. 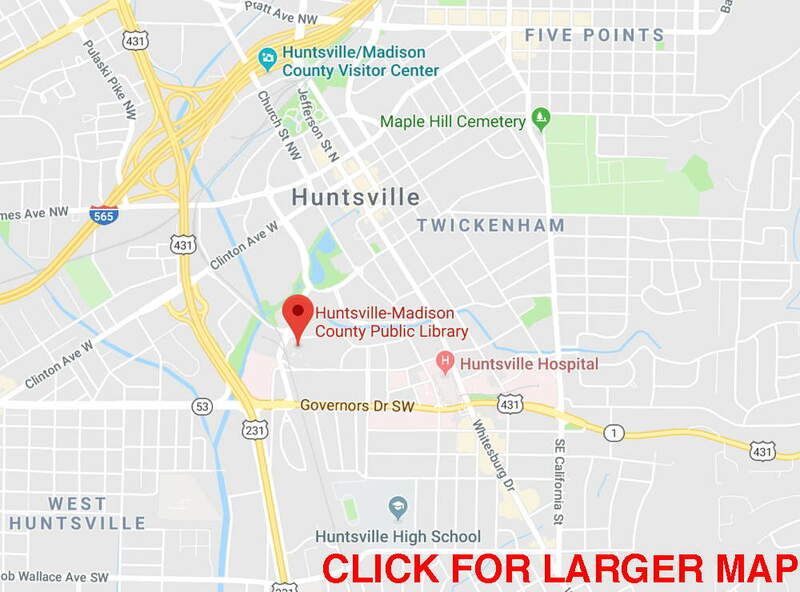 Tuesday, February 5, 2019 at 7 pm at Huntsville-Madison County Main Public Library Main Auditorium, with Richard B. Hoover. Visiting Research Professor, Buckingham Ctr. for Astrobiology, Univ. of Buckingham, UK Astrobiology Laboratory; Director, Athens State University, Athens, Alabama. Recent discoveries suggest the current paradigm of the origin of life on Earth may be invalid. The long-held hypothesis is that life originated as protocells developed after a long, slow chemical evolutionary process formed amino acids and other pre-biotic organics in Earth's primordial atmosphere and oceans. The concept that all life on Earth evolved from these protocells led to the belief that Earth was uniquely suited for life. Scientists often search for "Goldilocks Worlds" exoplanets. This is based on the mistaken belief that life could exist only on earthlike planets with unfrozen liquid water oceans. Expeditions to Siberia, Iceland, and Antarctica have shown that life exists in ice. Living microbial extremophiles are often abundant in the frozen permafrost, glaciers and polar ice caps of our planet. Hot crustal rocks of the deep continental subsurface are home to a vast ecosystem chemolithotrophic microorganisms. Bacteria and archaea that inhabit the hot, deep, crustal rocks may comprise more biomass than all life of the oceans and surface of Earth. Astonishingly, the primary producers in this dark, deep, hot biosphere have been found to be hydrogen-based lithoautotrophic cyanobacteria (species of Calothrix and Microcoleus) that were previously thought to require light for photosynthetic metabolism. Fossilized cyanobacteria of these genera were discovered at NASA/MSFC during Scanning Electron Microscopy studies of carbonaceous meteorites. Failure to detect nitrogen in these filaments by Energy Dispersive X-Ray Spectroscopy proves the fossils are indigenous and therefore extraterrestrial in nature. It is now well-established that living organisms are present on Earth everywhere water and energy co-exist with a small group of bioelements (mainly C, H, O, N, P and S) that are essential for organic molecules. Space Probes and Missions have recently shown that water (solid and/or liquid), energy and organics co-exist on virtually every comet, planet, planetoid, and moon of our Solar System. On December 3, 2018, the NASA OSIRIS-REx spacecraft arrived at 101995 Bennu. Spectroscopic data revealed abundant hydrated clay minerals (indicative of water and possibly life) on the parent body of this tiny carbonaceous asteroid. The large, red Transneptunian object (TNO) 50000 Quaoar exhibits evidence for crystalline water ice, cryovolcanism and organics. On Dec. 31, 2019, the New Horizons spacecraft flew within 2,200 miles of Ultima Thule and obtained images of a binary object with red color indicating tholin-like organics. Microfossils and organic biosignatures reveal that life appeared on Earth some 3.9 billion years ago, near the end of the Late Heavy Bombardment. Hence, there is no time for the long, slow chemical evolution process on Earth or on any other body of our Solar System. This presentation will present the recent discoveries of diatoms and exotic cyanobacteria indigenous to the Orgueil CI1 carbonaceous meteorite as additional evidence for the existence of extraterrestrial life. The hypothesis that earthlife may have originated in a nearby but much more ancient Solar System and transferred to Earth by an interstellar comet will be advanced. Kapteyn's star and its planets (which could conceivable support life) were over 6 billion years old when the proto-solar nebula condensed to form the Sun and planets of our Solar System. Kapteyn's planetary system passed within 7 light-years of Earth in 8000 BC. The interstellar comet Oumuamua will be discussed. It is known that bacteria survive for millions of years in desiccated state in salt crystals or cryopreserved in ancient permafrost or glaciers. Furthermore, microorganisms can survive long duration exposures to the hard vacuum of space and temperatures near absolute zero. Some species are extremely resistant to radiation and the possible relevance of these properties of microbial life to the hypothesis that early Earth might have been contaminated by life forms from an ancient proximate star system will be considered. Richard B. Hoover joined the NASA/Marshall Space Flight Center (MSFC) as a Research Scientist in 1966. He retired from NASA in 2012 and is now Visiting Research Professor, Centre for Astrobiology at the University of Buckingham in the UK, and the Astrobiology Laboratory at Athens State University. His initial research at NASA/MSFC was on Fraunhoffer diffraction and Laser Ranging Corner Cube Retro Reflectors for the APOLLO Program. He was Co-Investigator for the SKYLAB Apollo Telescope Mount S-056 X-ray Telescope that produced 25,000 x-ray images of the Sun. He developed and tested the S-056 X-ray mirrors, monitored the instrument from mission control during the missions and participated in post-flight data analysis of the solar x-ray images. He holds 13 US Patents and 2 International Patents and was selected 1992 NASA Inventor of the Year and Nominee for National Inventor of the Year. Richard B. Hoover was selected a member of two of the initial programs of the NASA Virtual Astrobiology Institute in 1997 for the to study microfossils in Astromaterials (PI-David McKay) and microbial extremophiles (PI-Kenneth Nealson). Hoover established the Astrobiology Research Group at MSFC and developed collaborations with Academicians (Mikhael Ivanov Institute of Microbiology and Alexei Rozanov Institute of Paleontology) of the Russian Academy of Sciences. 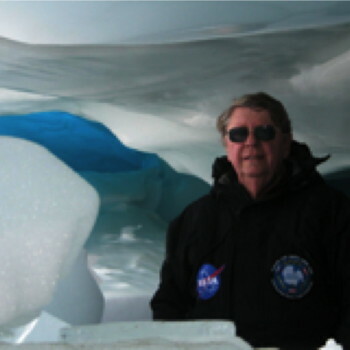 Prof. Hoover has organized and led scientific expeditions to explore some of the most hostile environments of Earth - glaciers in Alaska and ice caves in the high Alps, Iceland and Antarctica & volcanoes, geysers and fumaroles Yellowstone, Crete and Iceland. He was Science Team Lead for the Antarctica 2000 Expedition (with Astronauts James A. Lovell (Gemini 7 & 12; Apollo 8 & Apollo 13) and Owen Garriott (Skylab III & Spacelab), which recovered new species of bacteria from southern Patagonia 20 meteorites from the Thiel Mountains of Antarctica. He was Science Lead for the 2008 Joint US/Russia/Austria TAWANI International Astrobiology Expeditions to the Schirmacher Oasis and Lake Untersee in Antarctica. He carried the Explorers Club Flag #162 on two Expeditions to Antarctica and was elected a Fellow of the Explorers Club. These Expeditions resulted in the discovery of fifteen new species and six new genera of archaea and bacteria. Williamwhitmania taraxaci, isolated from Lake Untersee, Antarctica represents a new Family (Williamwhitmanaceae) with previously unknown organelles for gliding motility (antiae). Hoover has discovered the fossilized remains of cyanobacteria and other living and extinct algae in diverse carbonaceous meteorites. The absence of nitrogen in these microfossils indicate they represent microorganisms that died long before the meteorites entered Earth's atmosphere. Based on his research on microfossils in meteorites he was made an Honorary Life Member of the Planetary Studies Foundation. He was the 2001 President of SPIE, the International Society for Optical Engineering and was awarded the Gold Medal of the Society in 2009. He has Authored/Edited ~50 volumes and more than 400 scientific papers on topics as diverse as Fraunhoffer Diffraction, X-ray Astronomy, X-Ray/EUV optics, Solar Physics, Astrophysics, Diatoms, Microbial Extremophiles, Meteorites and Astrobiology. Prof. Hoover's scientific research has been featured in TV programs on the History Channel, Science Channel, NASA's Unexplained Files, NHK Japan Television and films produced by the National Science Foundation, BBC, Discovery Channel and National Geographic and he has delivered scientific lectures on every continent on Earth.